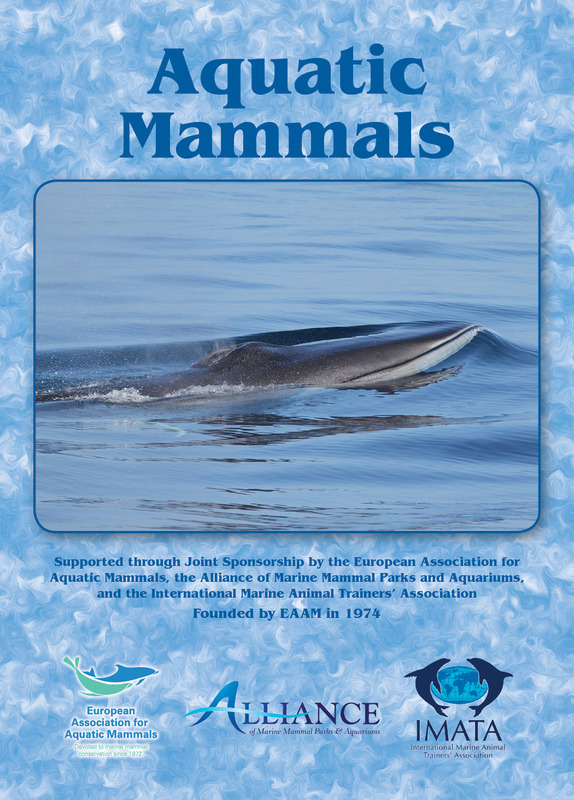 Aquatic Mammals is a peer-reviewed journal sponsored by the European Association for Aquatic Mammals (EAAM), the Alliance of Marine Mammal Parks and Aquariums (AMMPA), and the International Marine Animal Trainers’ Association (IMATA). Aquatic Mammals publishes articles related to marine mammals (whales, dolphins, seals, fur seals, sea lions, walrus, dugongs, manatees, sea otters, and polar bears). Topics of publication on both captive animals and wild marine mammals include aspects of husbandry; behavior; conservation; veterinary medicine; anatomy; physiology; training; population trends; and the effects of pollution, climate change, and noise. In addition, Aquatic Mammals has a Historical Perspectives feature, which includes essays and high definition DVDs of interviews with prominent marine mammal scientists. The journal also publishes short notes, Book Reviews, and various reports (e.g., workshop summaries, proceedings). In the video below, prominent marine mammal scientists interviewed for Aquatic Mammal Journal's Historical Perspectives offer advice to students interesting in pursuing a career studying marine mammals. To order DVDs or for more info on the Historical Perspectives series, click this link. In the video below, prominent marine mammal scientists interviewed for Aquatic Mammal Journal's Historical Perspectives series discuss how climate change may be affecting marine mammals. To order DVDs or for more info on the Historical Perspectives series, click this link. Aquatic Mammals Historical Perspectives from Aquatic Mammals on Vimeo. Aquatic Mammals is copyedited and formatted by Sandra Larimer and Shanee Sullivan and printed by MinuteMan Press, Norwich, CT. Digital Object Identifiers are assigned to manuscripts by CrossRef.